Texas manufacturing activity accelerated in May, according to the Federal Reserve Bank of Dallas, with employment rates and wages spiking. While economists at the Fed pointed to manufacturing in the energy sector booming, electronics and automotive manufacturing have both increased. 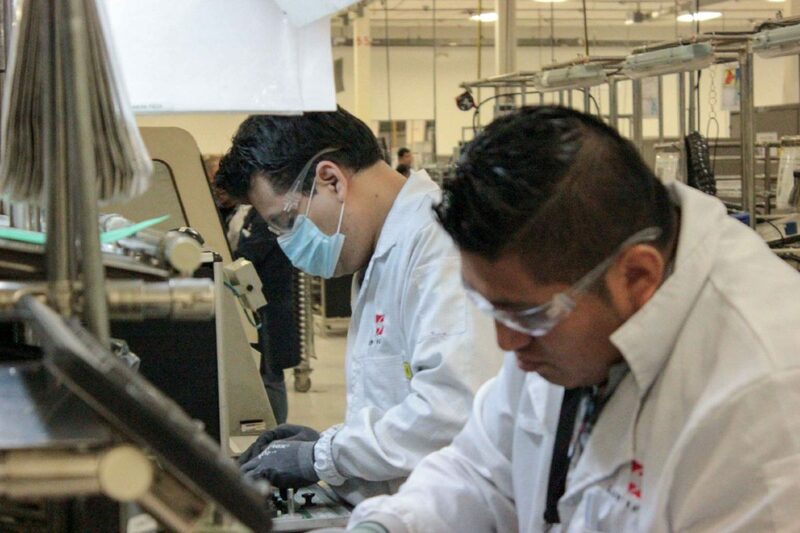 Jesus Cañas, a senior business economist at the Dallas Fed, said the McAllen-Reynosa maquiladora industry is seeing more demand from United States consumers. The manufacturing sector continues to wait to see what will happen with the North American Free Trade Agreement, which is being renegotiated after being implemented 24 years ago. Talks between Mexico, the United States and Canada has been mostly tabled for the time being as Mexico’s July 1 presidential election looms, followed by November’s U.S. midterm elections. President Donald Trump called the two-decade old pact between Mexico, the United States and Canada one of the “worst trade deals of all time,” and his administration began negotiating a new NAFTA in August. The three countries, however, have not been able to close a deal. For now, the trade deal remains, and billions of dollars crisscross the southern border, with 80 percent of U.S.-Mexico land trade crossing the Texas-Mexico border, Cañas said. “U.S. border towns like McAllen benefit from those service flows,” he said.